Today we’d like to introduce you to Nancy Winship Milliken. Nancy , we’d love to hear your story and how you got to where you are today both personally and as an artist. I am an environmental visual artist. 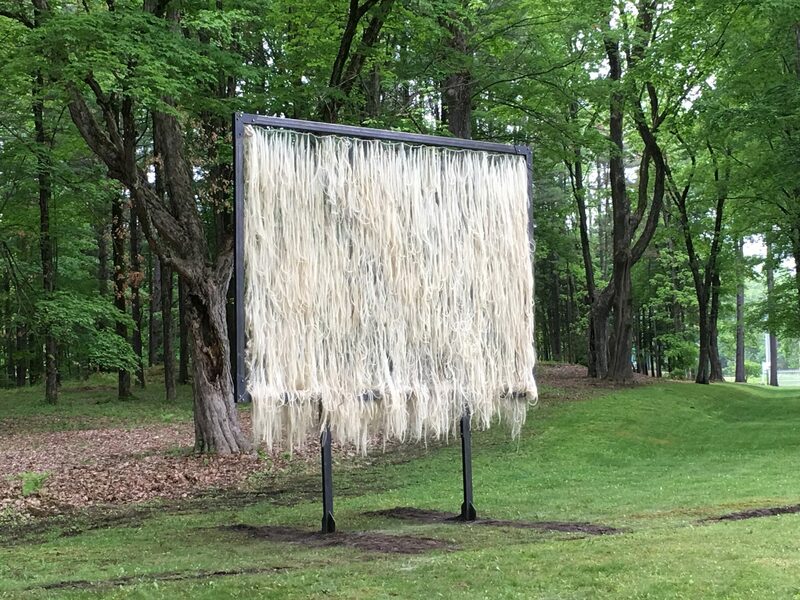 I create site-specific work in urban and rural landscapes using natural and industrial materials such as horse hair (re-claimed cello bow strings), raw wool and century-old barn beams. 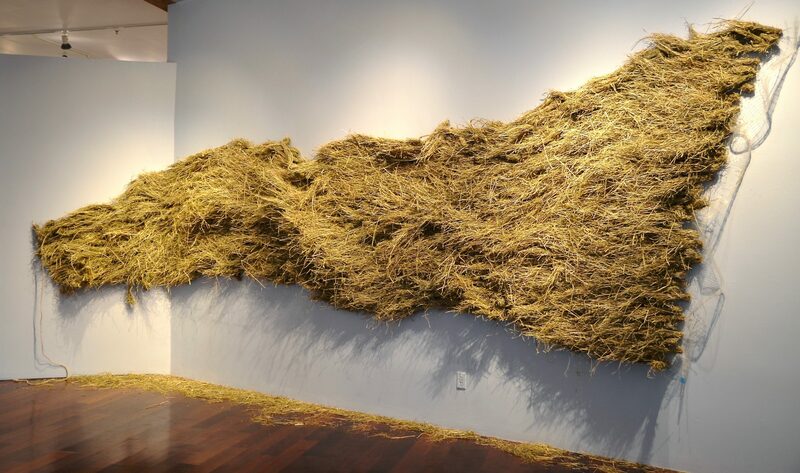 This unique and textural work stems from an interest in rural art, agriculture, and sustainable living. Before becoming a full-time artist I was an outdoor educator and helped teach on a farm at the Hartsbook Waldorf School in Hadley, Massachusetts. Helping at lambing time in the spring and teaching the routine of daily chores to children instilled a desire to use the materials of the landscape to explore themes of man in Nature. I got my Masters degree in 2008 from Massachusetts College of Art and Design. For several years I was a part of Boston Sculptors Gallery creating monumental work for group shows at, for example, Chesterwood and Christian Science Plaza in 2013. Recently, I have traded studio for a farm in a 9-year project called Contemporary Pastoralism. 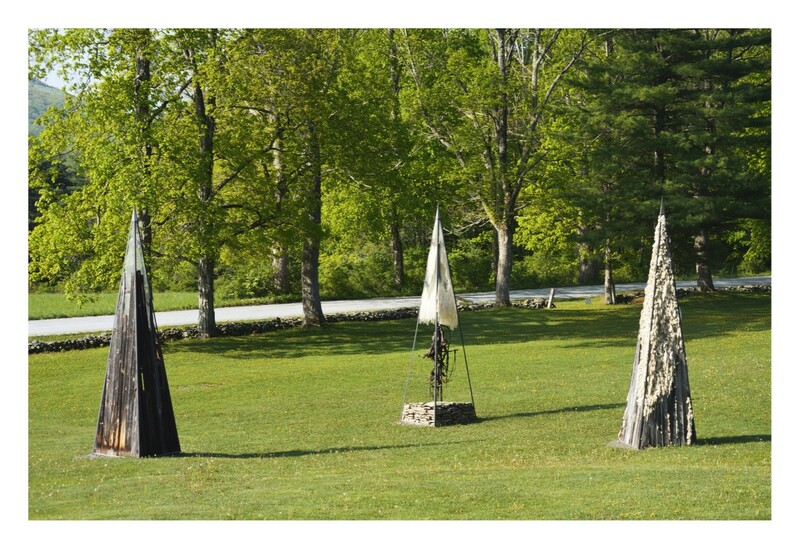 For this project, I work in collaboration with the animals, farmers and landscape of New England to create sculpture, prints and large-scale installations. My work explores the textural richness of layers of the commonplace: the musty piles of compost, or the cloven hooves, farm boots, and tractor imprints in a muddy pasture that write the farm’s routine like a Braille narrative. Materials of the farm such as wool, hay, earth, honey, even intestines and steel hold meaning, are alive and responsive. Most of the work becomes performative, sculptures revealing the actions of wind, rain and sun, even animals, as they transform shapes and alternative materials collaborating with an element of time. Like pastoral painters that once walked the countryside, I have traded studio for the farm to create site-specific explorations in collaboration with the seasonal rhythms, muddy pastures and beating hearts of small homesteads. Sometimes, I wrap myself into a sculpture of wool or record the pattern of the farmer by walking over an earth-laden canvas. Putting myself into this performance has been a part of my understanding of place, something a farmer knows intimately. When the work is taken out of the context of its surroundings and put onto the white walls of a gallery or surrounded by steel and concrete of a city, a new dialogue is created. For my latest project, I created a printing press platform able to hold the weight of a herd of cows. 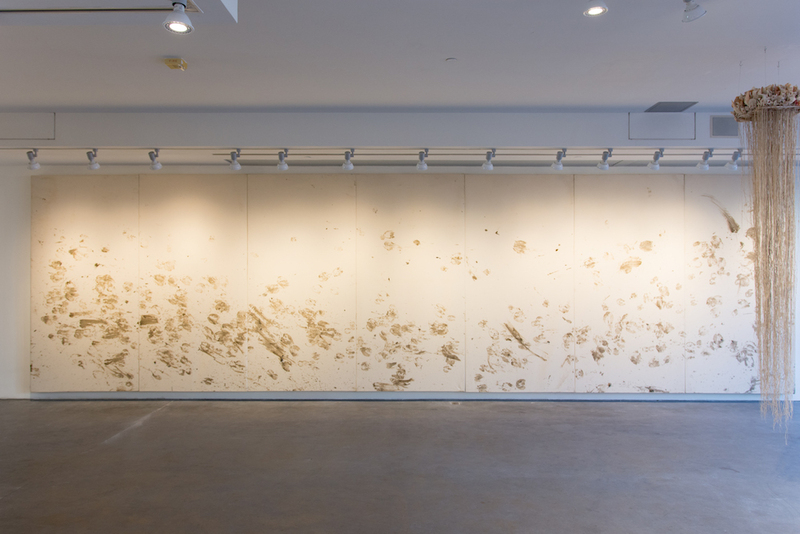 Using an earth paint from the soils the cows walk on, I created a situation in which they walked through the earth paint and onto the canvases as they moved from one pasture to another to graze. This captured their hoof prints in a thirty-foot swirl of movement mark making. For another piece, I hand tied horse hair from re-claimed cello bow strings onto netting creating a fifteen-foot kinetic sculpture reflecting on the origins of music. My goal is to create empathy, curiosity, and a new way to reflect on the relationship of man and nature. I explore the tension of man in the landscape, and his desire to belong and be a part of the landscape. There are many levels of success in my book! First, there is a success in discovery in the studio, to find out a material behaves a certain way or that there is a different method to build a structure. I often define success in collaborating with interns whom have no formal training with art and want to learn how to communicate their environmental passions and concerns through artistic means. It means the world to me to collaborate with farmers, activists, academia, curators, environmentalists, poets whom can all come together to voice their concerns and re-imagine a way forward during these anthropocentric environmental changes. It is a success for me if I can create empathy and open new questions in a viewer. 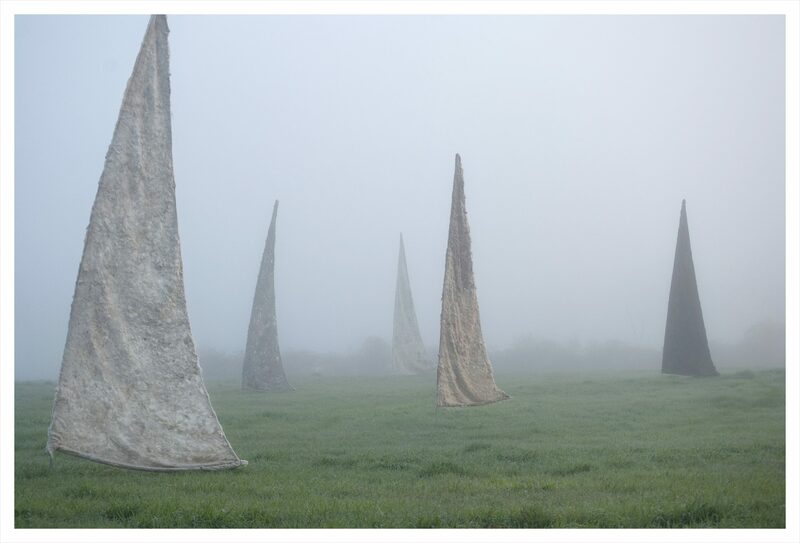 I even feel it is successful if a viewer gets out of their car and walks into a field to see an installation. 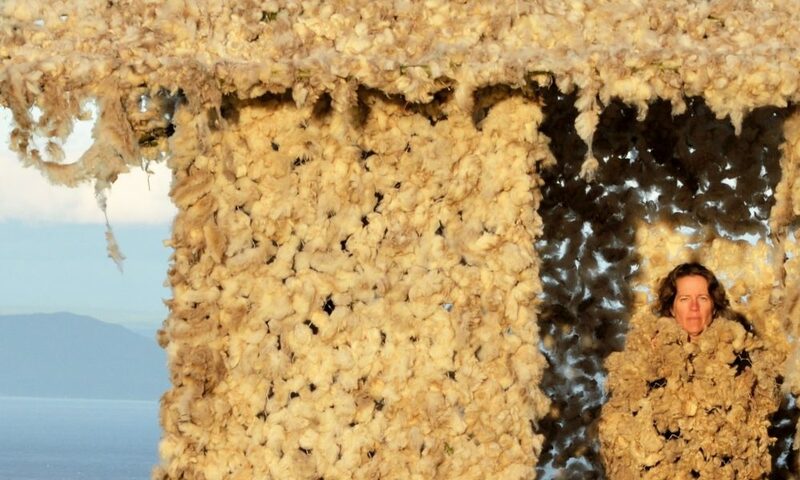 I have been bringing these textural sculpture and installations to Boston and surrounding areas for the past five years. For two years starting this July, I will have a fifteen-foot tall horse hair (reclaimed cello bow strings) sculpture titled Pasture Song, at DeCordova Museum in Lincoln, MA. At Boston Sculptors Gallery in the SOWA district, from July 18-August 12, 2018 I will be a part of the group show Breath and Matter, an exciting collaboration between 24 poets and sculptors. 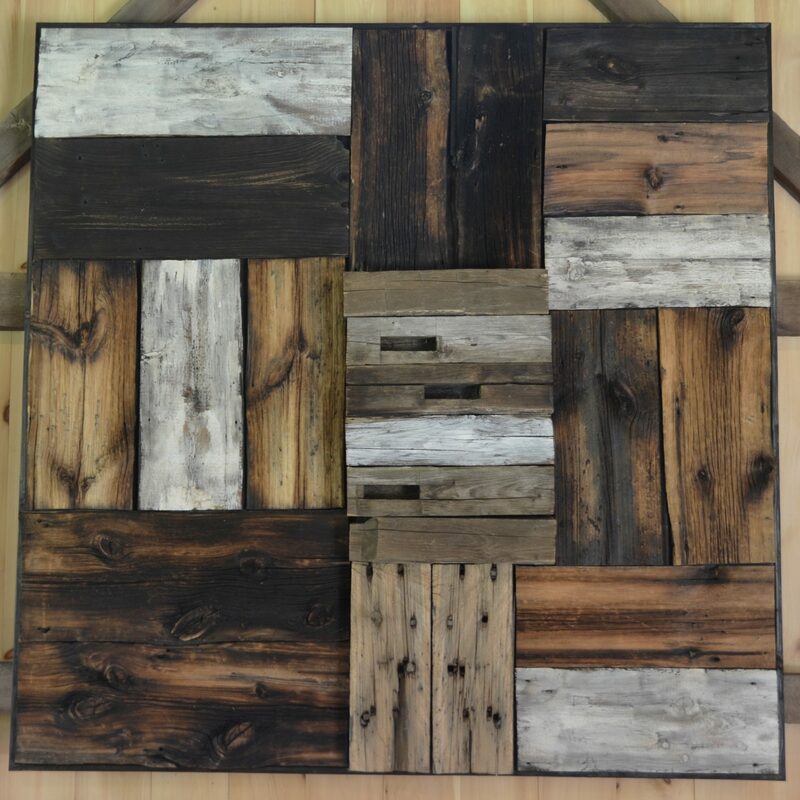 For this show I collaborated with Vermont’s Poet Laureate, Chard deNiord, using charred timber from a burned down barn as a launching point for his poetry and my installation. 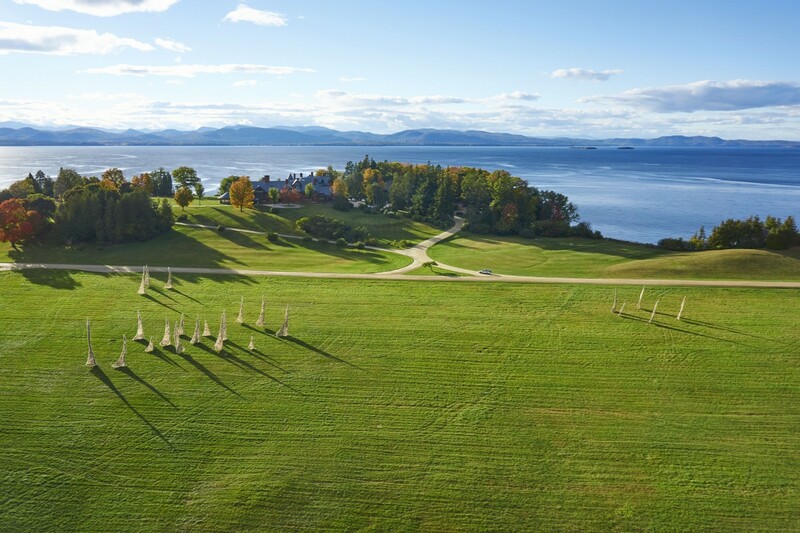 At Vermont Arts Council’s sculpture park in Montpelier, Vermont I have a two-year collaboration with two artists, Erika Senft Miller and Michael Zebrowski in an exhibition titled SiteTime: Cordwood. Currently, I am researching work that will head out in 2019 to Hancock Shaker Village in Hancock, Massachusetts. You can find me any day working at Bread and Butter Farm in Shelburne, Vermont where I am on the second year of a self-designed residency. Please do visit my website to see videos of my process, prints, jewelry made out of the earth, and large and small sculptures! Your work is always inspritional and magnificent! great article and I am so proud of the artist you have become and the passion you have always exhibited in all th years I have known you. Bravo, Nancy! I love your work and the unique angle that you create art from. I hope to get back to the east coast soon, especially Vermont, so I can check out what you do.